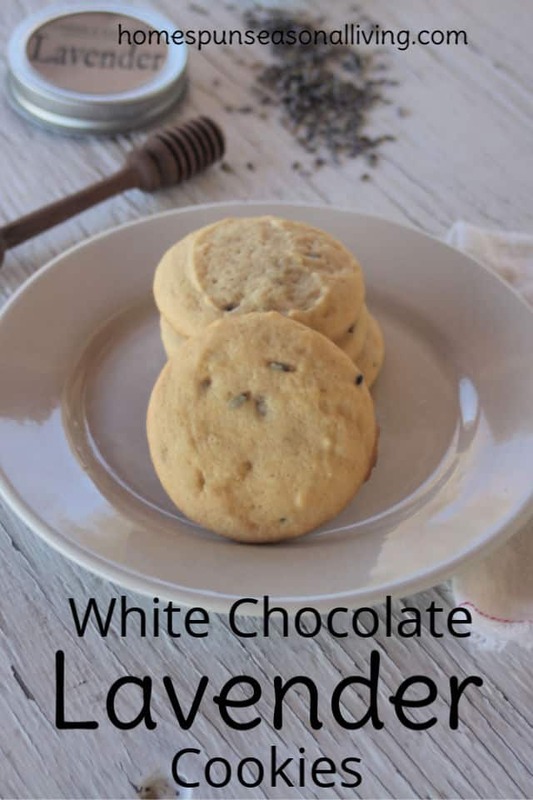 White chocolate lavender cookies are the perfect afternoon tea or after dinner dessert cookies. These are lightly sweet and layered with floral and buttery flavor that is sure to delight. 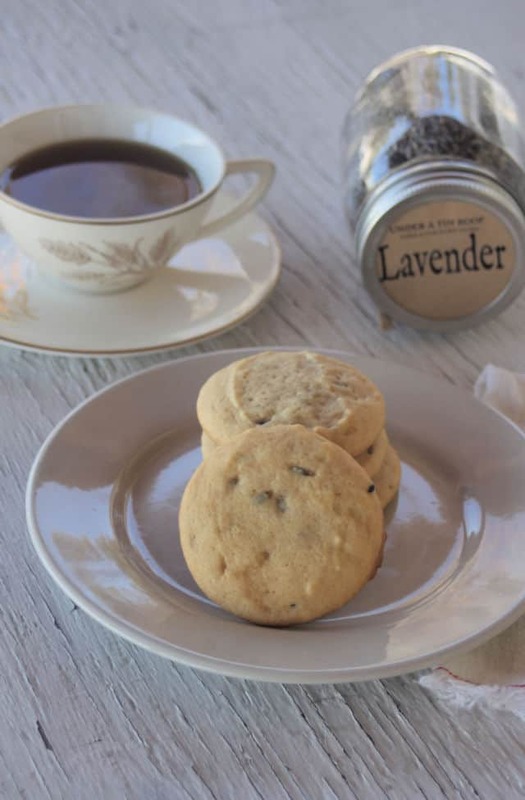 The ‘trick' to these cookies is the layering of lavender flavor throughout. While one could probably just toss some lavender buds into the dough and get flavorful results, the flavor is more intense with some light infusing. If you happen to have some homemade lavender infused honey and/or lavender infused sugar. This is a great place to use those homemade pantry items. Use lavender infused honey and skip the infusing of the lavender buds in plain honey called for in the recipe. Substitute lavender infused sugar for the plain sugar. 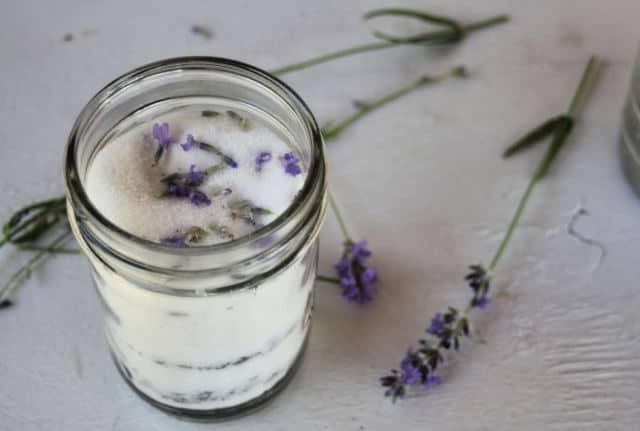 Additionally, add only 1 teaspoon of lavender buds to the creaming of the sugar, instead of the whole Tablespoon of lavender buds called for in the recipe. 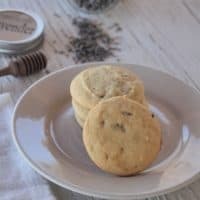 These white chocolate lavender cookies are an amazing gift idea. They'll tuck nicely in a basket with some tea for the friend who loves a traditional afternoon tea. While these are a soft cookie, they ship incredibly well. So, don't be afraid to tuck them into care packages and mail them off to loved ones far away. These are simple and soft cookie, perfect from the oven. However, there are some ways to ‘fancy' them up if desired. Frost the cookies with a simple chocolate or vanilla frosting. Or sandwich the cookies around the frosting. Drizzle the cooled cookies with melted dark chocolate. Dip half the cookie in melted white chocolate. Because these cookies do freeze well, using these for ice cream sandwiches would be quite delightful. 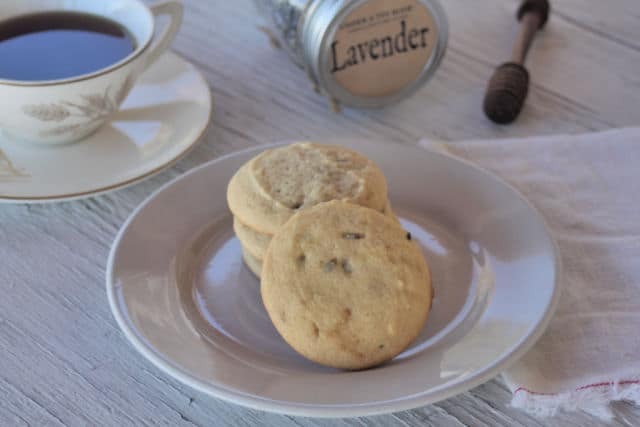 Soft and lightly sweet these white chocolate lavender cookies are perfectly at home with afternoon tea or after dinner dessert. Line cookie sheets with parchment paper or silicone baking sheets. Put 1 inch of water in the bottom of a double boiler and bring to a boil. In the top of the double boiler, combine 1 1/2 teaspoons of the lavender with the honey. Heat gently and stir occasionally for 10 minutes. Add the white chocolate to the honey mixture and heat until melted. Set aside. Cream the butter, sugar, and remaining 1 1/2 teaspoons of lavender until light and fluffy. Pour the honey mixture into the butter mixture and mix completely. Fold in the flour mixture until everything is well combined. Drop the dough by tablespoons full onto prepared sheets. Give them about 2 inches between - they spread. Bake for 10 minutes or until edges are browned.